The Victorian age lasted through the reign of Queen Victoria from 1837-1901. It was an age of progress and invention, machines and factories, magnificent buildings and new ideas. Britain became the leading industrial country in the world. Leeds was the fourth largest city in England, sometimes called the ‘Capital of the North’. But Leeds was also a place where, in 1840, the average age of death for the richest people was 44. For the middle class people it was 27. And for the poorest people it was just 19 years! Why was this the case? What would life have been like for you in Victorian times? How have things changed for people living in Leeds since then? 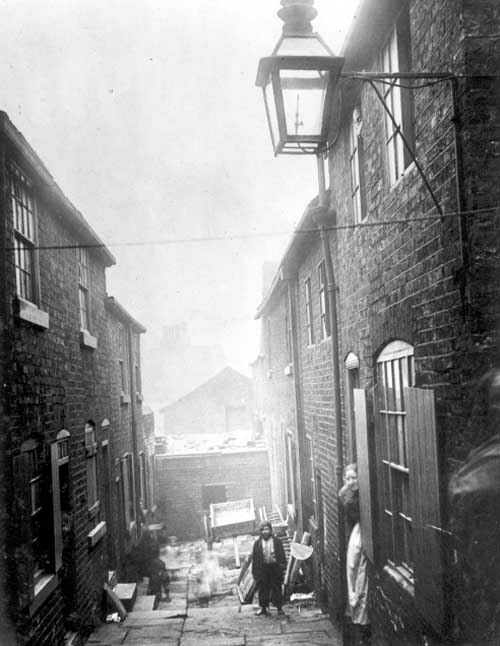 During the 19th century the population had grown rapidly and Leeds had changed from a small town to a large manufacturing city. In 1800 the population size was 53,000 but by 1831 there were 123,000 people crammed into the town. Many people were living in slums with terrible conditions, no sewers and no clean running water. Reports show that some families with seven children were living in one room and working 13 hours a day. The river Aire was heavily polluted with waste from all of the houses, from hospitals, slaughterhouses and factories. Can you imagine what was in there?